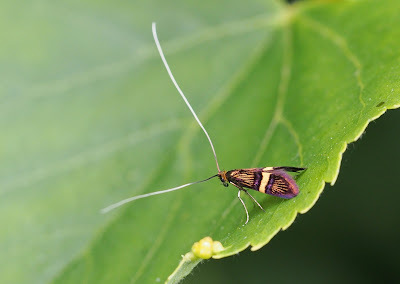 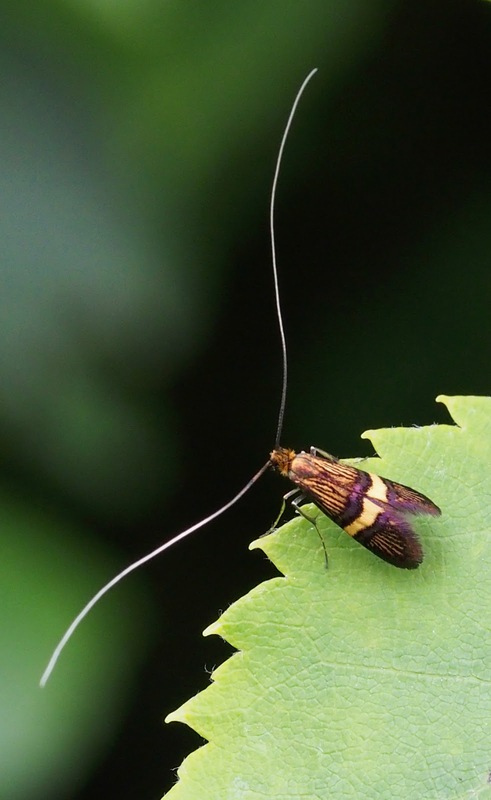 No crippling rarities today, but I did have a nice evening attempting to photograph Adela croesella in the lush hedgerows around Rushwick. Every now and then the sun would peek through the clouds and reveal stunning iridescent purple scales on the forewing of these superb little moths. 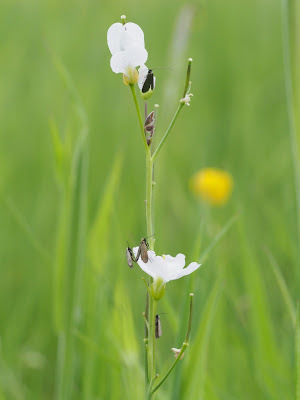 Cuckoo flower has almost gone over for another year, and the last emerging adult Cauchas rufimitrella are now crowding around the few plants that remain in flower.